As an Interactive Production Studio, we are happy to work with your creative team or your ad agency to add some Talking Dog magic to whatever message you want to convey. The power of Experiential Marketing is well known for its high engagement with customers. Our tools and creativity turn eyes toward you and your brand or content. VR & AR engage with young audience more than older media. Talking Dog is proud to have worked with Saskatchewan’s biggest ad agencies to produce some amazing Augmented Reality and Virtual Reality experiences. The brilliant team at Captive have given us many great opportunities to create the AR / VR / MR portion of their experiential extravaganzas. “Whenever we work with Talking Dog to bring another cutting-edge Experiential Marketing campaign to life, we can always count on them to deliver on time, on budget, and with some interesting improvements”. Being in VR means you have the full attention of the audience member. “Memorable” means people still talk to us about old projects. We create excitement by associating your brand with cool new tech. Our VR projects for Sasktel often come back to us through conversations with the general public. The “wow” factor of seeing something unexpected only adds to that impact in an experiential setting. 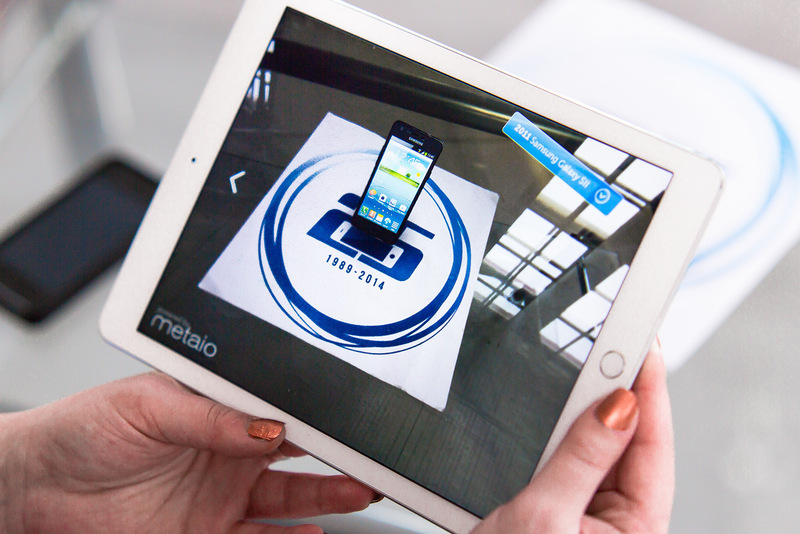 This AR based iPad app was created to celebrate the history of Cellphones used at Sasktel. Making something engaging and memorable is only the means to the end of conveying your message. At Talking Dog we are experienced at crafting the experiences that evoke the feelings you want associated with your brand and keeping the message on target while leveraging our technology. 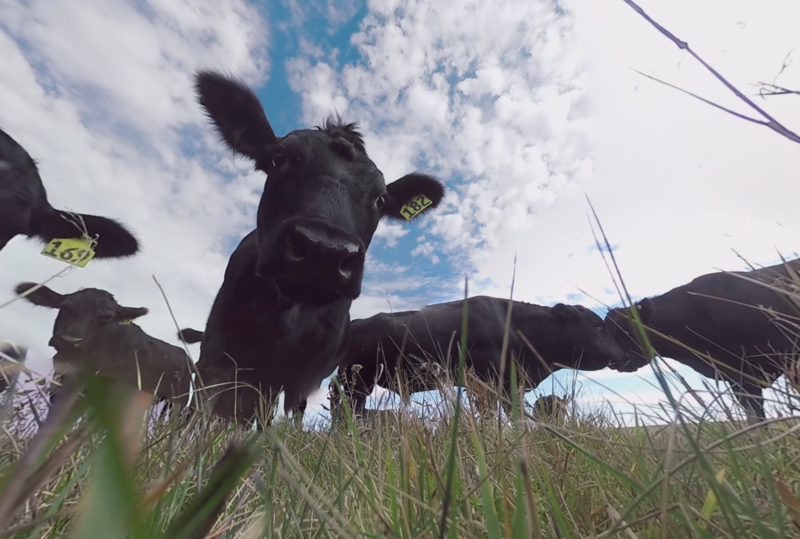 Our project for the Sask Cattlemen’s Association brought farm life to a new audience with their use of VR.